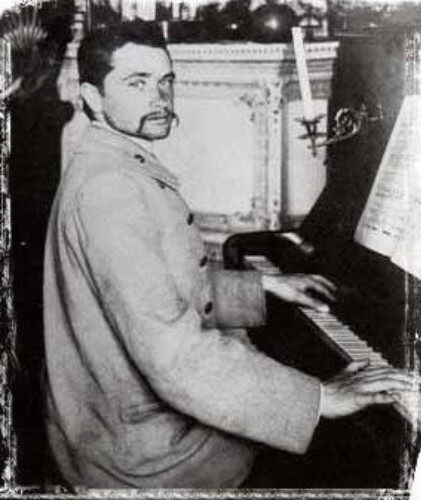 Yanovsky, Borys [Яновський, Борис; Janovs’kyj], b 31 December 1875 in Moscow, d 19 January 1933 in Kharkiv. Composer, conductor, and music critic. A graduate of Kyiv University (1903), he studied music privately with E. Ryb and was a conductor and music critic in Kyiv until 1910. He then (1910–18) worked as a conductor and critic in Saint Petersburg and Moscow. In 1918 he settled in Kharkiv, where he taught at the music tekhnikum and the Kharkiv Music and Drama Institute. His compositions include 10 operas, notably Sorochyntsi Fair (1899) and Black Sea Duma or Samiilo Kishka (1927); two ballets; orchestral pieces; chamber music works; violin and piano music; works for chorus; art songs; and arrangements of Ukrainian folk songs.